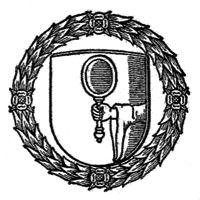 The Speculum logo from Vol.1, No. 1 (January 1926). In honor of Jacqueline Brown’s many years of distinguished service to the Medieval Academy of America, President Emerita Caroline Bynum has made a generous contribution with the hope that it will challenge others who have come to know Jackie over the years to honor her through similar expressions of generosity. After some discussion with Caroline Bynum and Jackie Brown, with the Treasurer Gene Lyman and Presidential officers Alice-Mary Talbot, Maryanne Kowaleski and Richard Unger, we agreed that the best use of these donations would be to establish a fund to help offset the costs of obtaining images and image rights for articles that have been accepted for publication in Speculum, that make use of visual resources not ordinarily available from the author’s own archives or under Fair Use, free Commons agreements, or institutional archives and image repositories. Funds will be applied at the discretion of the Executive Director and Editor of Speculum, most especially for scholars whose institutions do not provide funding to subvent the publication of visual resources, with no individual subvention to exceed $500. The fund is called The Jacqueline Brown Fund, and images appearing in Speculum using these funds will be designated in an introductory footnote. If you would like to contribute to this fund in recognition of Jackie Brown’s remarkable contribution to this Academy and to Speculum, please send your contributions, in any amount, to the MAA by 1 July 2012. You may send your designated contributions in the form of checks, or you can mail your credit-card information (including your name, card number and expiration date). We welcome your generous support.